Find out how Jane Gokgoz was inspired to launch the Personalised Gift Shop after struggling to find personalised gifts that matched her own children’s unique names. And how she grew her business from a £5.50 launch from her kitchen table to employing over 30 staff. I used to work in London for a finance company, which was great fun and very busy! We left the capital some time ago though and moved to Northampton to bring up our son and daughter, which was my main focus for over a decade. When the children got a bit older, I knew I was ready to get back into the world of work, so I started researching ideas. I really wanted to work in online retail and I kept coming back to the idea of personalised gifts as our children have quite unique names and I had always struggled to get them things with their names on! I did lots of research into what other options there were for consumers. I looked into a company who could manage the technical process and then taking the plunge was actually very quick – I literally started it from my kitchen table with £5.50. We now have over 30 staff, the growth has been great. We are very quick; we turn around deliveries in 24 hours, except at Christmas. And we communicate with the customer throughout the process so there is no confusion over delivery. Our product range is huge – 14,000 and getting bigger by the day! And we will literally personalise anything, as long as it is not offensive or meant to cause offence. Most popular items have been his and hers hammers – and underwear. Anybody! There are peak times such as Mother’s Day, Valentine’s Day, Wedding season, but as the range is so vast and the message completely bespoke, we appeal to all demographics. I think because of our fast turnaround times, we are a good last minute gift option for lots of people. We work with a lot of large businesses too. As an online business, most of our marketing is online – pay per click ads, targeted features, social media. But around 50% of our customers are returning so I think word of mouth and loyalty counts for a lot too. A few years ago I realised I needed to take more control of the process, and cut out the third party supplier. 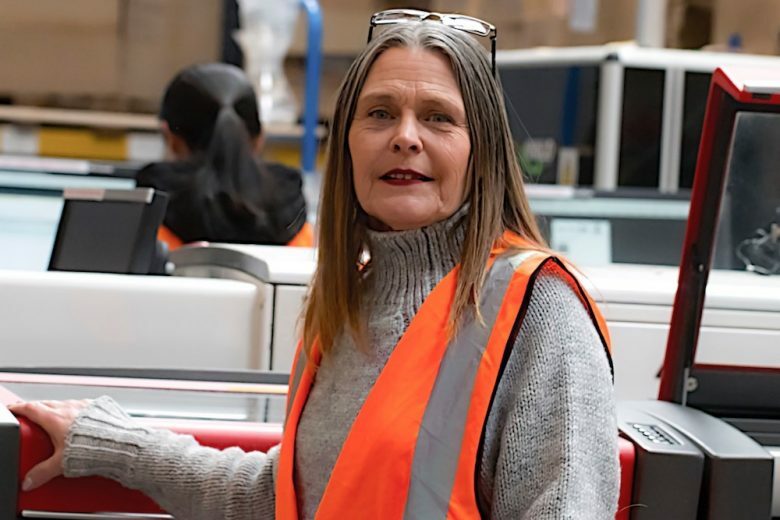 It was quite a gamble – I had to remortgage and borrow funds to cover the costs of the new staff, the warehouse, the equipment and website redesign. It was very stressful and caused a lot of sleepless nights! Having the guts to go with my instinct and take it all in house. We now source all the products ourselves and our team of in-house designers create the designs. It means we can be sure of our products’ quality and appeal. Taking the plunge meant that we were able to reduce delivery times and costs and our turnover grew massively, so it was definitely worth it. It helps shape a person’s identity. I chose to raise the children full time but as soon as they got independent, I had a need to get busy. I love the culture I have created and get a real buzz out of growing the company. So many people. I admire anyone who takes a leap of faith and has a go. I had no idea what was ahead when I started my company – I certainly had no inking of how much hard work would be involved – but I went for it anyway. It’s very important to carry out full research. Ensure you have something that is different to others out there so know your market, know your competitors. Go into it with your eyes open. Keep training! A person is always learning, no matter their role. I ensured I had management training as my team grew and am always looking at what we need to do to keep ahead. Lastly, I think going with your instinct is very important. But don’t worry if you get some things wrong, everybody does. Learn from it and keep going. You can find out more about the Personalised Gift Shop on their website.